It’s hard to believe that August is already here. Summer has flown by in a flurry of farmer’s markets, BBQs and long walks on the beach. The long warm days of summer will slowly shorten as we make our way back to school and into fall. As we enjoy the last few weeks of summer vacation, we may also enjoy produce at the height of its harvest: berries, citrus, spinach and summer corn are abundant in markets, and we can’t seem to get enough of those sweet summer melons. 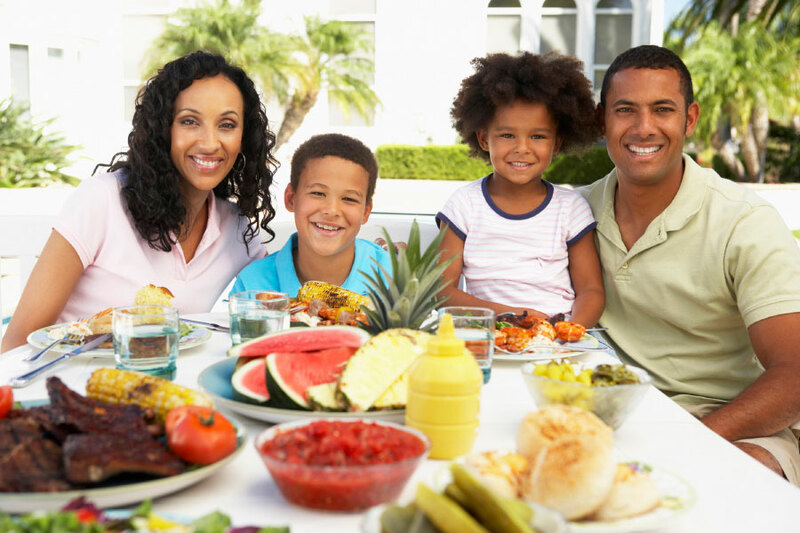 With so much good food at our fingertips, we can’t help but celebrate with loved ones. In a season of such great abundance, it’s only right to share. At Zojirushi, we work hard to create quality products so that you may focus on the shared times–moments, memories and meals. We hope that you have plenty of time to share this month, and that our products make life that much easier in the process. Katsuobushi, an Unlikely Ingredient in the US. Ever heard of Katsuobushi? Better known as dried bonito flakes, Katsuobushi is often misunderstood and goes unrecognized by Americans in the kitchen. However, this delicate, featherweight substance might be just the thing you’re looking for to add a unique depth and smokiness to your next dish. Dating back to the middle of the Edo Period (1603-1868), the production of dried fish is an ancient and traditional process in Japan. Bonito fillets are boiled for 60 to 80 hours and then smoked up to 15 times within a month. After that, the fish is dried in the sun, and finally left in a closed room to ferment for up to two weeks. By the end of this process, the fish is as hard as wood and less than 20% of its original weight. 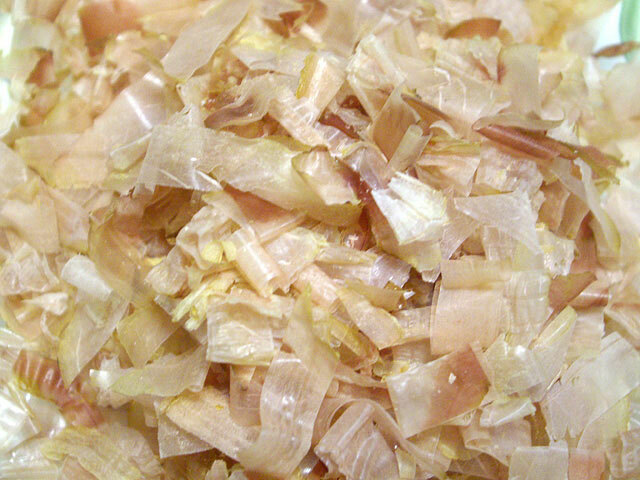 Once the fish is thinly shaved, they are called Katsuobushi. Katsuobushi is the backbone of many Japanese stocks and sauces as well as the seasoning/decoration on top of many Japanese dishes. With a smoky depth and earthiness, Katsuobushi adds an extra layer of deliciousness to many different meals. In fact, dried bonito was presented by Professor Shintaro Kodama in 1913 as one of the foods containing the umami substance, ribonucleotide IMP. (Umami, to refresh your memory, is considered the 5th flavor. See last month’s blog post for more details on Umami.) Katsuobushi is considered to be one of the most delicious ingredients in Japan, and can be compared to Parmesan cheese in Italian cooking. Because it is essentially “dried fish flakes”, westerners tend to shy away from this mysterious ingredient, thinking it could be too “fishy” for their palates. In reality, Katsuobushi has a bold savory taste, closer to a cured ham such as prosciutto than a fishy fish. Try using it in soup stocks, sauces and on top of anything from grilled veggies to fresh salads. You might be surprised. For August, we would like to spotlight one of our most popular rice cookers from the Micom line, the Neuro Fuzzy® Rice Cooker & Warmer (NS-ZCC10/18). It features our advanced Neuro Fuzzy® logic technology which fine tunes temperature and cooking time according to the thermal sensor’s calculations. 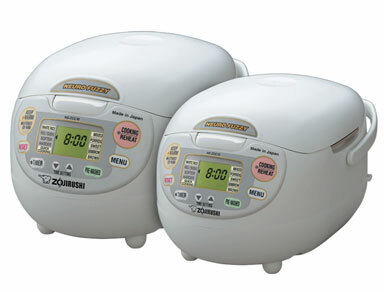 Also, the delayed timer allows you to get your rice prepared when it is convenient to you. It comes in two different sizes, the 5.5 cup and the 10 cup, and is a great fit for your culinary needs. If you’re thinking to upgrade from a conventional electric rice cooker, or if you’re looking to buy your first one, this is the product for you!